Mirella’s Inferno have been an absolute treat to feature as our Artist Of The Month for December. Recorded exclusively at Uncanny Valley Studios, we’ve been treated to exclusive acoustic performances (a cover of London Grammar’s ‘Strong’ (HERE) and the opening track ‘Disease’ from their ‘Haunting’ EP (HERE)). Brad also posed plenty of questions along the way. 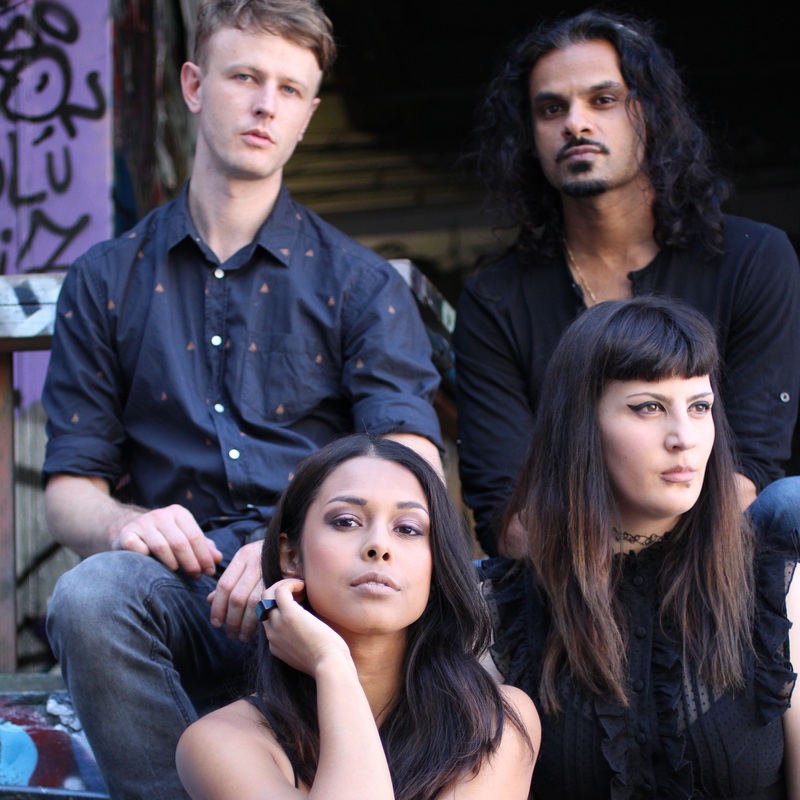 Throughout Brad’s interviews with frontwoman Meghan Dea, we have learnt how the band got its name, the inspiration behind their tracks and in this week’s final video, we reveal which Australian band they would most like to support on tour. She and Brad also take part in a highly entertaining game of Charades!. As the tablet sits against your head, the other person can hum, give clues or sing along as you try to guess the name of the song. Next Thursday, it’s a new year, a new Thursday and a fresh new auspOp Artist Of The Month. Who will we have for you in January 2017? Best you keep your eyes peeled. In the meantime, grab Mirella’s Inferno’s ‘Haunting’ EP from iTunes, Google Play or streaming on Spotify or Soundcloud.